An attitude of somberness, regret and hesitation should prevail during the procession when the casket is carried from the hearse to the grave and then deposited in the grave. It should also be viewed as a sacred occasion which requires one's personal participation in the final honoring of the deceased. Both of these aspects, the personal duty to give honor, and the hesitation to perform that which is necessary, govern the program and style of the processional. Pallbearers from among the family or friends should carry the casket and deposit it in the grave. This custom dates back to the Bible when Jacob's children carried him to his last resting place. In ancient times the body was carried on the shoulders. Regardless of whether carried on shoulders or by hand, or wheeled on a special cemetery device, this should be considered a signal honor and a symbol of personal tribute for those who participate. There are several customs as to who shall be selected as pallbearers, any one of which is acceptable to Jewish law. One is that the primary carriers should be the children and brothers of the deceased. Others say that friends or other relatives should do this, but not the immediate family, However, it would seem more advisable for others to carry the casket, rather than the immediate family, for fear of their being overcome with grief. If there is no such fear, children or brothers may participate, if they so desire. In any case, if there are no others, the immediate family must perform this task. Those who handle the casket must be of the Jewish faith. It is a violation of Jewish law to consign the deceased to anonymous gravediggers, especially when their faith is not known and their personal behavior and moral standards are not known to the family. Handling the casket is not merely a physical activity which requires brawn; it is a personal one which demands love and respect. Personal enemies may help carry the casket, and their efforts should not be considered hypocrisy, but a form of regret. Surely the family should be consulted, but they should be encouraged to use sympathetic judgment and compassionate concern. 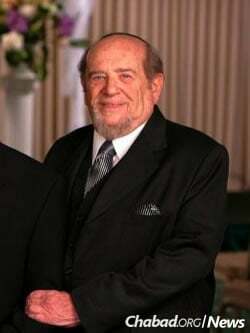 In light of the requirement of pallbearers, it is necessary to tell the funeral director or the driver of the family car not to follow their customary practice of holding the family limousines far behind the hearse so that the casket may be removed and carried to the grave by cemetery gravediggers. Some cemetery officials encourage this because of the possible insurance hazard in case of accident while family members are carrying the casket. 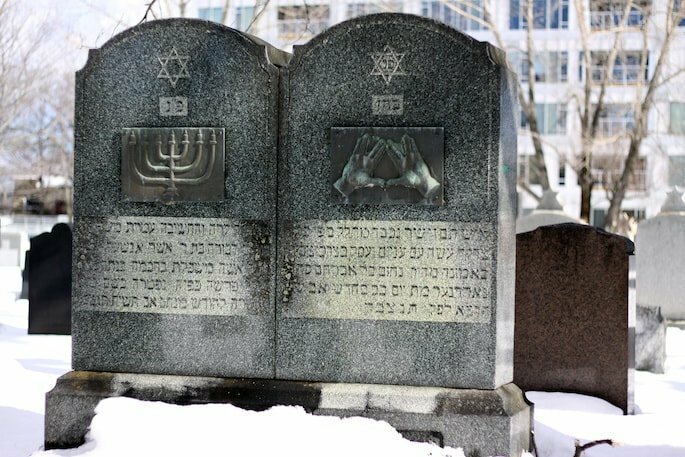 Proper cemetery insurance coverage, however, takes into consideration the traditions of the Jewish people on a Jewish cemetery. There are several customs regarding the number of pauses made in order to indicate our unwillingness to end the service, and when and for whom they should not be made. One custom establishes seven stops, another three stops, and another maintains that the procession should stop every six or eight feet. Seven pauses are customary in most communities. The Midrash cites a strange, but insightful, reason for halting seven times. Death confronts men with the need to re-assess their own existence and ponder the "big" questions of life: What is the use of all our strivings? Does life have a deeper meaning? Does man, after all, come to naught? These are the great issues that disturb Ecclesiastes as he seeks to understand the true meaning of life. "Vanity of vanities," said Ecclesiastes, "vanity of vanities, all is vanity" (1:2). Vanity, in this context, signifies the vapor (hevel) that appears when one exhales on a cold day. It has no substance, and disappears into "thin air." Is life only vapor? The sages noted that "vanity" in the oft-quoted verse, is said three times in the singular, and twice in the plural, which adds up to seven times. Each of these "vanities" is symbolized by a pause, as one carries the casket to the grave. With each stop, the fact of ultimate death teaches us to avoid the life of vanity, to be creative and kind, to repent of evil, to walk in the path of goodness. All those in the funeral party should follow the casket, not walk before it. Usually, only the rabbi precedes the procession to indicate where and when to pause. During the procession, the very beautiful and moving Psalm 91 is recited. This Psalm has been ascribed by Bible commentators to Moses, or a poet under his influence. It is said to have been recited at the building of the Tabernacle in the desert. Others ascribe it to a dialogue held between David and Solomon, or recited by them, at the dedication of Jerusalem and the Temple. It is referred to as the "Song of the Spirit," guarding man against the evil that surrounds him. It is an expression of confidence that God will watch over His people, and that nothing will again befall them because they trust in the Lord. With long life will I satisfy him, And make him to behold My salvation. The Rock, his work is perfect, for all His ways are judgment: A God of faithfulness and without iniquity, just and right is He. The Rock, perfect in every work, who can say unto Him, "What workest thou?" He ruleth below and above; He ordereth death and restoreth to life: He bringeth down to the grave, and bringeth up again. The Rock, perfect in every deed, who can say unto Him, "What doest thou?" 0 Thou who speakest and doest, of Thy grace deal kindly with us, and for the sake of him who was bound like a lamb, 0 hearken and do. Just in all Thy ways art thou, 0 perfect Rock, slow to anger and full of compassion. Spare and have pity upon parents and children, for Thine, Lord, is forgiveness and compassion. Just art Thou, O Lord, in ordering death and restoring to life, in whose hand is the charge of all spirits; far be it from Thee to blot out our remembrance. O let Thine eyes mercifully regard us; for Thine, Lord, is compassion and forgiveness. If a man live a year or a thousand years, what profiteth it him? He shall be as though he had not been. Blessed be the true Judge, who ordereth death and restoreth to life. Blessed be He, for His judgment is true, and His eye discerneth all things, and He awardeth unto man his reckoning and his sentence, and all must render acknowledgment unto him. We know, O Lord, that Thy judgment is righteous: Thou art justified when Thou speakest, and pure when Thou judgest, and it is not for us to murmur at Thy method of judging. Just are Thou, 0 Lord, and righteous are Thy judgments. O true and righteous Judge! Blessed be the true Judge, all whose judgments are righteous and true. The soul of every living thing is in Thy hand; Thy might is full of righteousness. Have mercy upon the remnant of the flock of Thy hand, and say unto the destroying angel, "Stay thy hand!" Thou art great in counsel and mighty in deed; Thine eyes are open upon all the ways of the children of men, to give unto every one according to his ways, and according to the fruit of his doings. To declare that the Lord is upright; He is my Rock, and there is no unrighteousness in Him. The Lord gave, and the Lord hath taken away; blessed be the name of the Lord. And He, being merciful, forgiveth iniquity and destroyeth not. Yea, many a time He turneth His anger away, and doth not stir up all His wrath. God ordained this dreadful end, and His decree is justified. God gives to each his due, in accordance with reasons He alone knows. Although we may not understand His ways, we know that there can be no imperfection in Almighty God. We pray that God be merciful to the survivors. Although He has taken the life of this dear one, may He, in His great mercy, spare the lives of the remainder of His flock and stay the hand of death. Even at this most personal moment of grief, the Jew must concern himself with unselfish thoughts and pray for all of humanity. God's decree must be accepted. To the very end we must remember that as God in His kindness was beneficent to give us this dear one and bring him into life, He is the same just God when He beckons that soul to return to him "The Lord has given and the Lord has taken." We thank the Lord for the years that were given to us. "Blessed be the name of the Lord." This prayer is not recited for children under 30 days of age. It is also not recited if the burial occurs at night, or if the funeral is held on one of the major festivals such as Passover, Shavuot or Succot, or on other holidays such as Hannukah, Purim, Rosh Chodesh, or on all afternoons preceding the holidays and the Sabbath, or on the days immediately following the three major festivals, as it would conflict with the spirit of joy that should obtain at these times. The sacred principle of the Jewish burial law which establishes that the deceased be buried in the earth, requires lowering the casket to the bottom of the grave. Leaving the casket at ground level during the service, in the company of the entourage, and then, without completing the interment, to turn one's back on the unburied casket and return home, is a distinct affront to the dead. The minimum dimensions of the grave must provide, at least, that the opening should be as wide and as long as the casket, and at least ten tefachim, or forty inches deep. The use of a mechanical device to lower the casket into the grave is not contrary to Jewish law. It is, however, a slow process, and surely not as quick as lowering by hand. Its use, therefore, is a matter of family preference. A Jewish friend or relative should release the lever to begin the operation of the mechanism. The grave must be filled at this time. At the very minimum, the casket must be fully covered with earth to take on the form of a grave. After that, the laborers may assist in filling the grave if the others cannot perform this deed. Some follow the practice of covering the open grave with a green, plastic, grass mat, but do not fill it with earth. This is not the traditional Jewish way. Indeed, it is a signal honor and duty to help in shoveling the earth to cover the casket. This duty is usually reserved for the learned in attendance, for the community leaders who are present, and also for the closest relatives and dearest friends. It is the personal "good-bye" of beloved neighbors. That this duty is a heartbreaking one is all too evident. But this spells the finality of death, and it must be faced and accepted as such. Psychologically, the heart-rending thud of earth on the casket is enormously beneficial. In proclaiming finality, it helps the mourner overcome the illusion that his relative still lives; it answers his disbelief that death has indeed claimed its victim; it quiets his lingering doubts that this may be only a bad dream. The earth-filling process dispels such illusions and starts the mourner on the way to recovery and reconciliation. To attempt to spare him this unpleasantness merely retards the psychological healing process. Is there a specific method of filling? The earth originally dug out should be replaced. Custom has it that the shovel should not pass from hand to hand, but each person should replace it in the earth. This is a silent, symbolic gesture expressing the prayer that the tragedy of death be not "contagious," and that the remainder of family and friends may live long and peaceful lives. The law does not stipulate how many shovelfuls should be used. Some customarily use the back of the shovel to indicate a difference from its use for other purposes. The Burial Kaddish is different from the other forms of Kaddish recited in the synagogue. (The Mourner's Kaddish is considered in detail in a later chapter of this book.) It takes the form of a prayer, and not a formal doxology. It is, therefore, not circumscribed by all of the regulations regarding the Kaddish of the synagogue service. This is why it may be recited directly following burial, whereas the synagogue Kaddish is recited only after a portion from the Psalms or Torah is read. The Burial Kaddish is a prayer affirming that God, in His good time, will create the world anew, and that the deceased will be raised up to everlasting life. With the advent of the new world, the Temple will be reestablished, and the true worship of the one God will replace the idols of the masses. It bespeaks the hope that there is a future for the deceased, and it gives new faith to the mourners, even as its recitation at the moment of interment evokes new tears. The Burial Kaddish is recited after the grave is filled with earth. In cases of emergency, such as excessive grief at the time of great tragedy, or if the hour is late and the Sabbath or a holy day is approaching, it is permissible to say the Kaddish after the casket is fully covered with a layer of earth. In such case it is not necessary to wait for the grave to be completely filled. The Burial Kaddish is omitted on festivals and during "joyous celebrations" (which is defined later) when tachanun is not recited in the synagogue. At such times, Psalm 16 is recited and the traditional Mourner's Kaddish is said. The special Burial Kaddish is replaced by the Mourner's Kaddish if no mourners are present. Kaddish is not recited at all when the grave cannot be filled in the presence of a minyan.